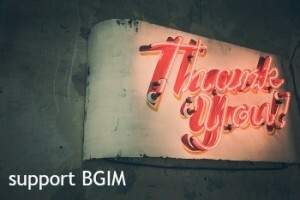 OK, I have realized that quite of few of my regular readers were definitely put off by my recent announcement of the BGIM computer beg-a-thon in the wake of my workhorse computer catching a nasty virus that turned it from a machine I can work on to basically being able to only surf the web with. Even that is janky at times. I understand that here in America, talk of money or lack thereof is viewed as tacky and frankly makes folks feel uncomfortable and that most certainly was not my intent. On the other hand, I like to think if you are a regular reader, well we are friends and well friends share the things that are going on in each others’ lives and might even say can ya help a homie out! In a little over two years, I have built up a comfortable readership and loved interacting with those who take the time to either email, comment on the blog or follow me on Twitter. I have actually even had the chance to meet a few of ya’ll in real life and there are definitely a few more than I hope to meet in the near future. You guys rock! Which is why when I realized that my computer was fucked, I thought I would take the bold move of running an online beg-a-thon to see if anyone could or would help out. I chose to make my blog’s home here at WordPress because I think they run a lovely user friendly operation, also rarely do you see ads. In fact I can’t have ads and frankly that is fine by me. In the blog world, its big business to monetize your blog and sure I’d like to earn a few extra shekels…who wouldn’t? But the fact is I blog because I enjoy it and I am just into it for the fun of it. I’m a big mouth who likes to talk and the blog affords me that opportunity. PS: While I would like to move away from PC’s based off my incredibly bad luck with them (4PC’s…3 of them laptops in the past 8 years) I am not married to the idea of a Mac, its just my first choice, though at the this point a good dependable laptop is my priority. The reason that I am adding this is I have had several folks contact me on why I want a Mac rather than a PC since PC’s are cheaper. Also while Linux may be groovy, after doing some research, I think I am not quite tech savvy enough to be messing with Linux, so while using Linux would be the cheapest option, I know my limitations. It seems people dont like you when you dont have money for basic things. I am currently behind on my tuition payment and every time I contact my adivosor at university, I get a look and a “get it fixed before add/drop ends”… as if I just dont want to fix the problem.